Sally and David- Engagement Pics! I am really looking forward to Sally and David's wedding in November. I have known Sally since the 4th grade so it should be lots of fun! We had lost touch, and reconnected recently via wedding planning. 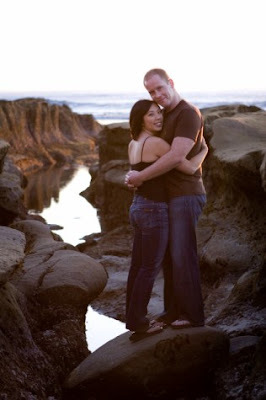 I will be doing the Coordinating for their ceremony, at The Wedding Bowl, and their reception, at Pearl in Rancho Bernardo with a full 10-course dinner in accordance with Vietnamese tradition. Their wedding colors will include yellow and hunter green- the colors in David's family tartan! Love the blending of cultures for this wedding, and can't WAIT to share pics. Their wedding photographer will be Melissa McClure- can't wait to work with her, I have heard awesome things, and her pics look phenomenal- http://melissamcclure.net/.